UNITED NATIONS — The U.N. nuclear chief said Monday that Iran is not cooperating with an investigation into suspected secret work on nuclear weapons. Yukio Amano told the U.N. General Assembly that talks between the Vienna-based International Atomic Energy Agency and Iran have intensified this year after an IAEA report in November 2011 said it had “credible information that Iran had carried out activities relevant to the development of a nuclear explosive device,” he said. 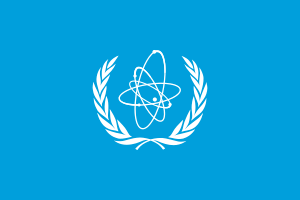 “However, no concrete results have been achieved so far,” Amano said.While the IAEA continues to verify that Iran’s declared nuclear material is not being diverted from peaceful purposes, “Iran is not providing the necessary cooperation to enable us to provide credible assurance about the absence of undeclared nuclear material and activities,” Amano said. Iran has repeatedly denied any interest in possessing nuclear arms, but the international community fears that Tehran may turn its peaceful uranium enrichment program toward weapons making — a concern that is growing as the government expands the number of machines it uses to enrich its stockpile of enriched uranium. In late 2010, Pyongyang unveiled a uranium enrichment facility that could give North Korea a second route to manufacture nuclear weapons in addition to its plutonium-based program. Earlier this year, satellite images showed that North Korea has made progress in building a light-water reactor to expand its nuclear program. North Korea is under tough U.N. sanctions, and Amano called on Pyongyang to comply with its obligations under Security Council resolutions and the Nuclear Nonproliferation Treaty, and “to cooperate promptly and fully” with the IAEA. North Korea’s deputy U.N. ambassador Ri Tong Il rejected Amano’s report, saying the country is not a party to the treaty, known as the NPT, or a member of the IAEA because the agency is not impartial and has “blindly” sided with the United States. “Now, if you look at the current situation and developments on the Korean peninsula, the United States did not hesitate to escalate, aggravate, increase its threats and blackmails with increased hostilities toward the DPRK,” he said, using the initials of the country’s official name, the Democratic People’s Republic of Korea. Posted by The Aseanists Time, Unmask The Truth on November 6, 2012 in The Aseanists Time and tagged HSBC, International Atomic Energy Agency, Iran, North Korea, United Nations, United Nations General Assembly, Vienna, Yukiya Amano. Wow, awesome blog structure! How long have you ever been blogging for? you make running a blog glance easy. The overall glance of your web site is wonderful, as smartly as the content material! fact enjoyed account your blog posts. Anyway I’ll be subscribing to your augment and even I achievement you access consistently quickly.